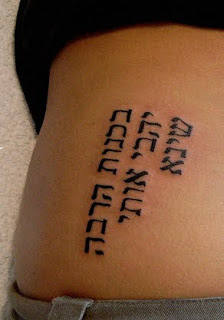 Today's victim, a girl named Sarah, wanted a tattoo of her name in Hebrew, and she wanted to compose it herself. 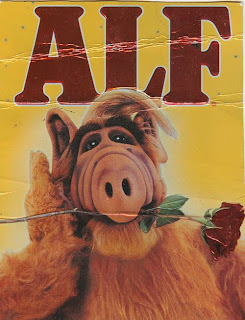 Those of you familiar with the Moomin TV series, will recognize the above critter as Stinky, or in his Hebrew name - Serach. 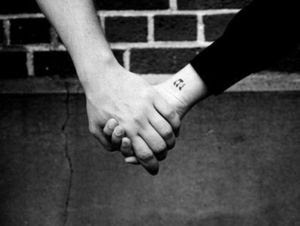 In fact, both S (Samekh) and H (Het) chosen by Sarah for her tattoo, are the wrong letters. The result can be read several ways, all of them describing stench. 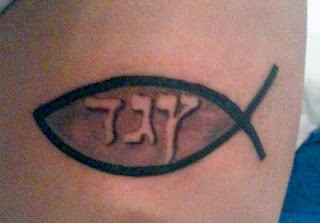 The proper letters for the name Sarah, as written in the old testament, are Shin and He. 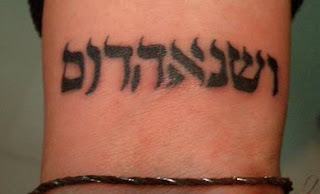 Sarah's Hebrew tattoo is especially unfortunate, so let that be a lesson to you all. 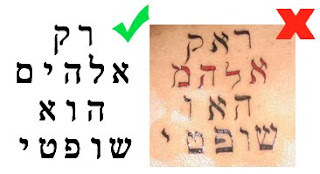 Never tattoo something on your body without confirming it first with a native Hebrew speaker. Disaster might be waiting right around your corner. But what do we see on the bottom? 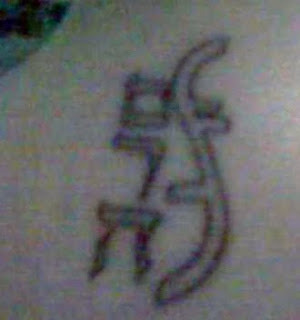 Is it Hebrew writing? Lets take a peek! Right. This is where well crafted ends. 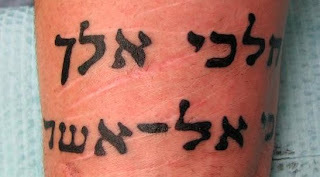 From a first glance, this Hebrew tattoo just looks weird. Apostrophes and double-quotes everywhere! When you really think about it, however, you may realize they are not apostrophes or double-quotes after all. 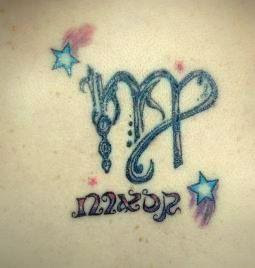 Instead, it's the letter Yod - the bastardized version. 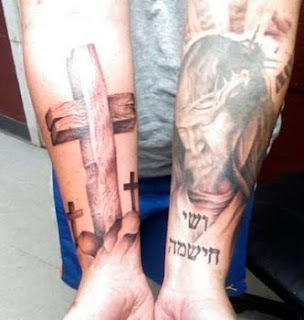 "My father is a soldier of God and his crowd[misspelled]. My father obeys"
Did he mean to say that? I honestly don't know. It's a Word... It's a Number... It's Superfail! 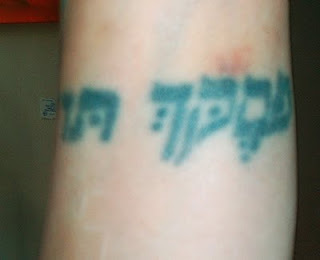 Now, I have no idea what a treaty number is, but I can spot a weird Hebrew tattoo, and this one is their crowned king. Sure, you can represent numbers by letters in Hebrew, but not like this! 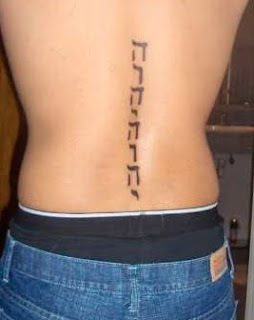 Those are just random Hebrew letters, complete gibberish. 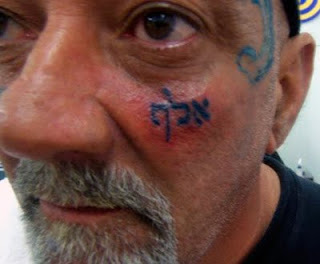 There's a simple way to spot a bogus tattoo even if you don't know much Hebrew. 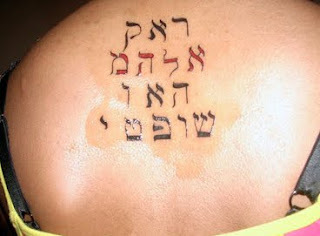 Just compare it to the Hebrew alphabet. 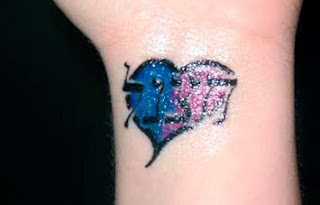 If you find any Sofit (final form) letters in the middle of a word, then it's a bad tattoo. 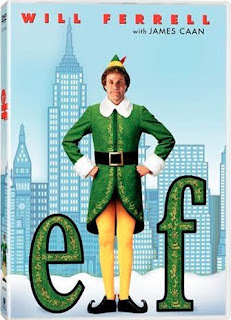 Letters can only appear in their final form at the end of a word, never elsewhere! Did you think there might be a Sofit in this so called word? There are four.